It's hot again here in Philadelphia. And that means it's time for a barrage of reviews on frozen treats from my local Target's freezer. 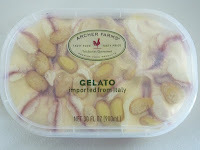 Compared to the other Archer Farms gelato flavor that I checked out on this blog, this one's definitely a bit tastier. It's got oval-shaped bits of sponge cake all through it, which add a welcome element of complexity to the product's texture. They taste pretty good, too. They're lightly sweet and bready. The gelato's also sweetened with various fruit juices, as well as sugar, so it's got some quality ingredients. 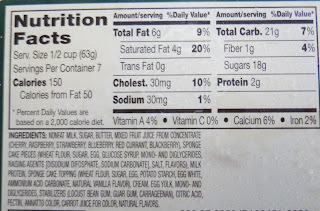 It's not just a tub of cheap high fructose corn syrup. 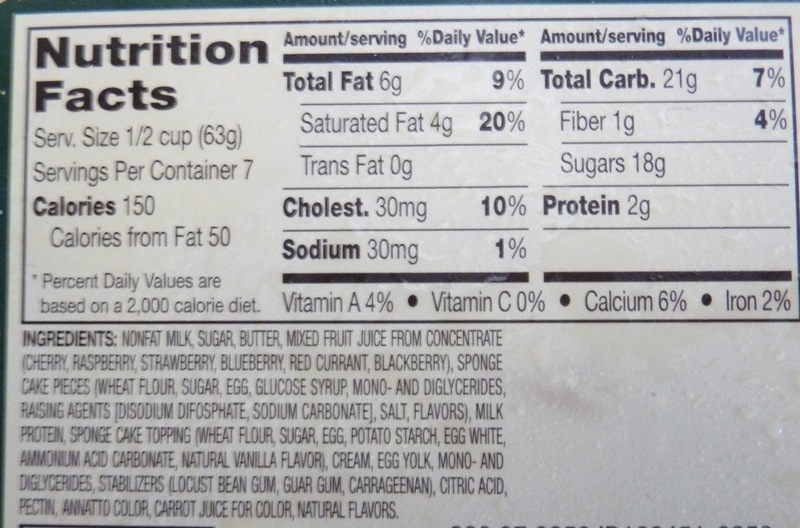 The fruit gel swirled throughout the product tastes vaguely of berry, although considering there's plenty of actual fruit juice in the product, the reddish jelly part of it doesn't necessarily taste that way. I think it might be a simple matter of blending too many different berry juices together, so that it doesn't taste like any one fruit in particular. But that's not a dealbreaker—not by any means. 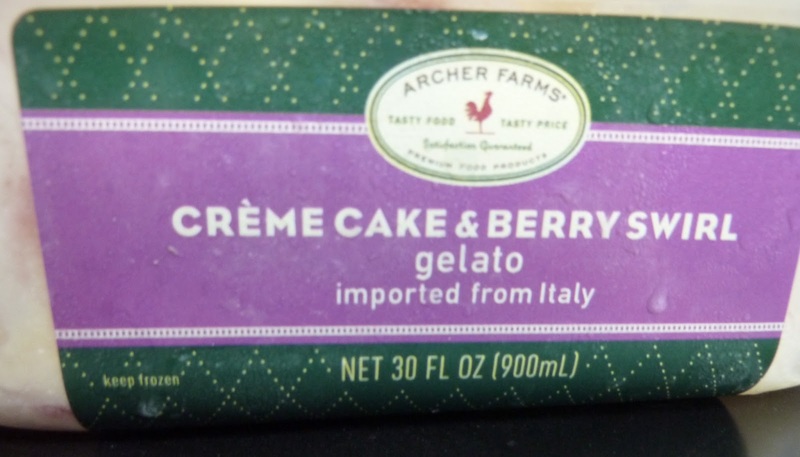 This product also lacks the nasty aftertaste present in the Cherry Amaretto version, so that's another plus. The vanilla part of the product is creamy and rich, and its quality falls juuust shy of gelatos I've had from actual gelato parlors—places where one tiny dish of ice cream costs as much as this entire tub. So all in all, this is a big thumbs up. I could hardly keep myself from eating the whole container in one sitting.